In this project, Mitya Churikov reflects on the nature of artificial, man-made urban landscapes. In particular, he focuses on the materials of which such landscapes are being constructed. From the artist’s point of view, these are the layers of surfaces that a person faces, touches, and uses without paying attention to them. Therefore, people unconsciously shape the image of modern cities and make a significant contribution to the perception of public space. 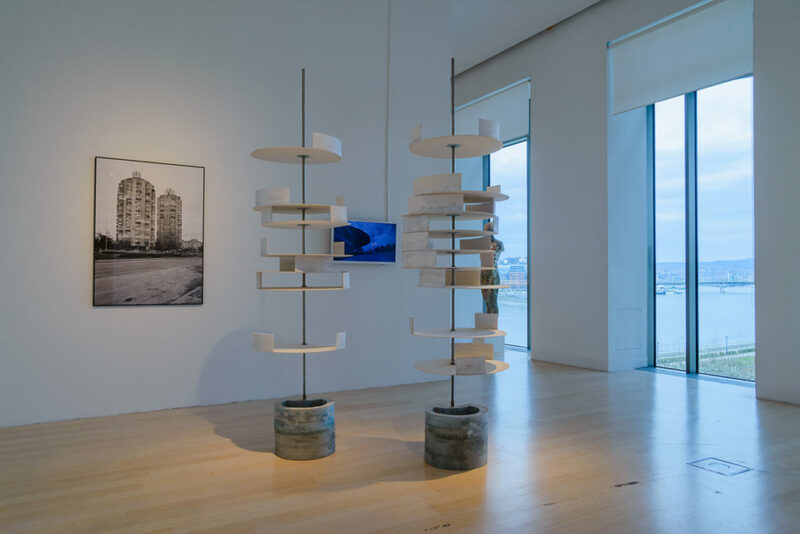 References to landscape architecture and modern design that the artist notices on the facades of buildings, offices and in the streets, are later reinterpreted by him in sculptures, objects, and graphics. Altogether, Churikov deals with the subject of people’s contribution to their environment, recording the changes that occur in urban space nowadays.